Join us and colleges around the country in celebrating the best in college marketing at the Hilton Warwick, Monday 2nd December 2019. 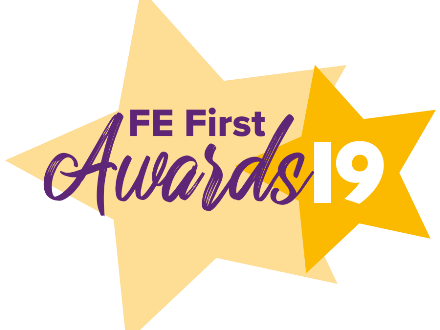 Support the FE First Awards in 2019, and associate yourself with their prestige. Show your commitment to the dynamic and creative work being done at the forefront of college marketing, recognised for its innovation and flair. All the information you need to take part in our Awards and conference in 2019. 31st Annual Conference - thanks to all our speakers, exhibitors and delegates for making it such an enjoyable day! Our 2018 conference took take place on Monday 26th November at the Hilton Hotel Warwick/Stratford upon Avon, with the FE First Awards for marketing excellence held in the evening at our Gala Dinner & Awards event. Rob Masson, CEO of The DPO Centre - GDPR in FE: It’s all about consent, but you don’t need consent?! Confused? A very insightful day with some great take-aways which will be implemented - real world advice! An excellent opportunity to network and share best practice. Plenty of good ideas and plans to take back to college. An excellent event as always – sharing good practice with colleagues across the sector is invaluable. Well done, a good range of speakers - great focus on digital marketing. I found the workshops very informative and it was really good to network with other colleges during the day. All plenary sessions offered interesting insights and also some excellent take-aways and tips. I liked having 4 of them as it gave good opportunities to hear about a range of topics. The conference [in 2018] was chock-full of great tips and tricks to boost our marketing and communications activity. The CMN conference is a fantastic way to meet like-minded education marketing professionals from all over the country, compare notes, share insights and hear from some great speakers to spark new ideas.